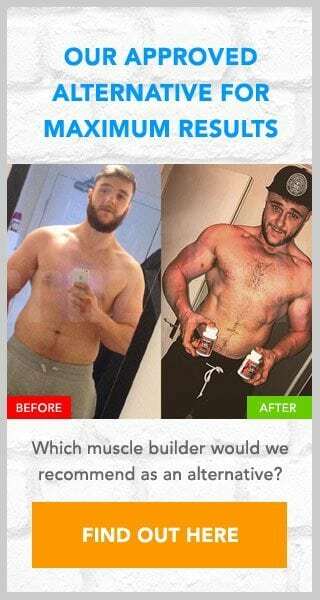 If you have been looking for a way to increase your ability to build muscle you may have come across an advert for the Alpha Limit trial offer (often advertised alongside Alpha Test +). In the following review we will look at this supplement and the offer in general to see if we would recommend it or not. 4 Would we recommend Alpha Limit? To check the accuracy of these claims we would need to look at the ingredients used in more detail. Just looking at the claimed benefits should not be enough for you to make an informed decision to sign up for this offer. Alpha Limit has their label available for viewing, and it lists a number of ingredients commonly found in bodybuilding supplements. These include ingredients such as; L-Arginine, Creatine, L-Citruline and Caffeine. I can certainly see some benefit to using this supplement. The biggest shock will be when you discover just how much Alpha Limit costs, which will be revealed to you at the end of the trial period of 10 days. In the terms and conditions it states that there is a $4.95 charge when you first sign up then another $148 charge. Unlike some other trial offers we have seen in the past, thankfully Alpha Limit is not an auto-ship program. So you will only be charged the one time. Would we recommend Alpha Limit? The ingredients of Alpha Limit are surely going to boost your own training efforts. However, this does not mean that we will recommend it to the public as it is incredibly expensive. Also, 10 days is surely not enough time to trial a product. I suggest that you look for a more cost effective alternative. There is a suggestion for you below. To cancel the trial before you are charged the $148 you will need to phone to cancel and ship the unused portion back to Alpha Limit before the 10 day period is up. I highly doubt you will be able to do this within the allotted time, especially when the delivery time to you is also included in the 10 day period. Please leave a message below if you have signed up to this trial offer. If you want to increase size and strength, and are looking for a supplement to help you achieve this goal then I would suggest you look at D-Bal, a supplement available to buy online from the Crazy Bulk website. This particular supplement has been created with the aim to give its users the same benefits as those who use Dianabol, yet without the reported side effects. D-Bal is also completely legal to use too. Those who have used D-Bal have reported that they have seen faster than normal gains in strength and muscle mass, which is not really a surprise as using it will help boost nitrogen retention and increase blood flow to your muscles. D-Bal is not available for trial, so there are no hidden or repeat charges.